Gaza terror group says it turned down Qatari money after Israel barred funding of Hamas terrorists. Hamas vows 'retaliation' against Israel. 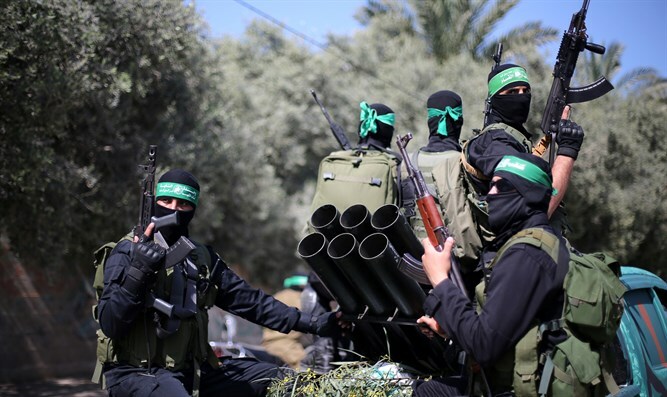 Senior Hamas officials told the Al-Akhbar Lebanese news outlet Friday that it had a “threatening message” for Israel, warning that it would “immediately retaliate” to an Israeli “aggression”, warning that its response would be “even greater than” the last major confrontation - referring to attacks in November of last year. Given Hamas' refusal to accept the Qatari money transfer, the IDF estimates that this Friday's riots on the Israel-Gaza border will be larger and more intense.